Wsparcie - Pojazd. Koszt: 3. 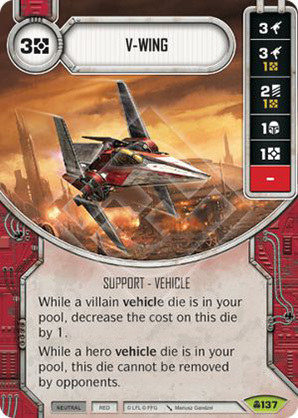 While a villain vehicle die is in your pool, decrease the cost on this die by 1. While a hero vehicle die is in your pool, this die cannot be removed by opponents.